GERING & LóPEZ GALLERY is pleased to present our inaugural exhibition as partners with new work by Leo Villareal from February 23 - April 28, 2007. This is Villareal's third solo exhibition in New York. The exhibition will feature three large-scale light sculptures each employing a varied application of Villareal's custom software. Made up of thousands of LEDs (light emitting diodes), these new works share underlying structures but take on unique personalities through variations in form, scale and rhythm. Inspired by mathematician John Conway's Game of Life, Villareal's code utilizes its own set of rules that govern autonomous agents within a matrix. 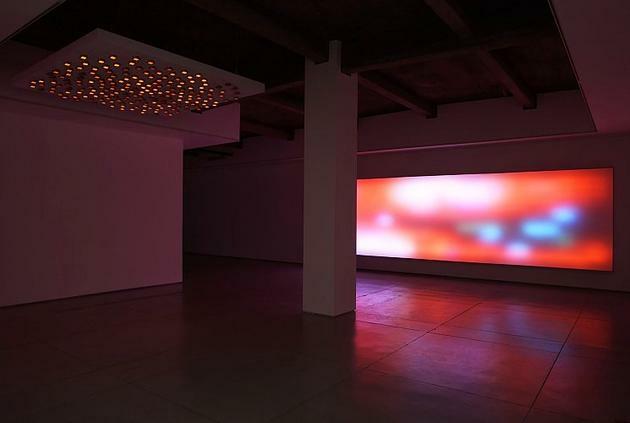 Field, the largest piece of the exhibition, spans 24 feet of the gallery wall and reaches almost from floor to ceiling. Here, the LEDs are covered by an overlay that diffuses the red, green and blue light. 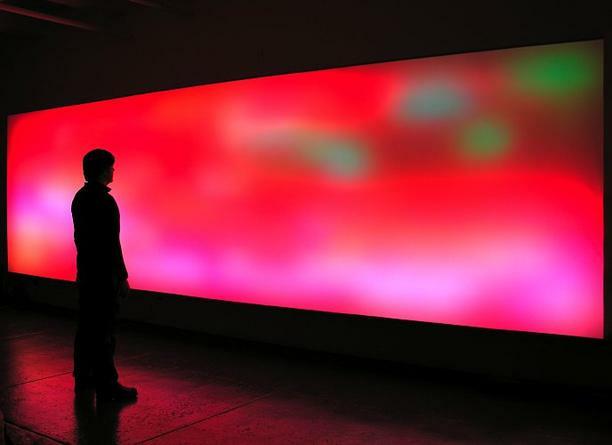 The result is a seductive, pulsating plane of ever-changing color. Enveloping the viewer with its lush monumentality, Field transforms the gallery into an environment of hypnotic, visual movement. Another work included, Hive, is composed of 192 acrylic squares organically arranged within an eight by eight foot backboard suspended from the ceiling of the gallery. 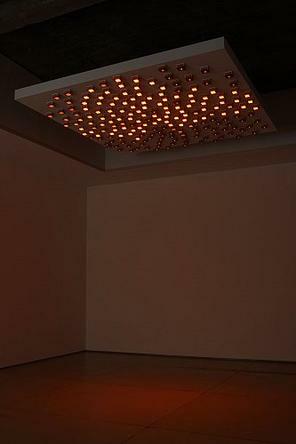 Each three by three inch cube contains twenty-five orange LEDs programmed to display varying patterns. While individual components appear to have minds of their own, there is an overall cohesion to the piece as a whole as it teams with life, evoking a complex system. Villareal continues his exploration of the effects of pattern and sequencing in Diamond Sea. 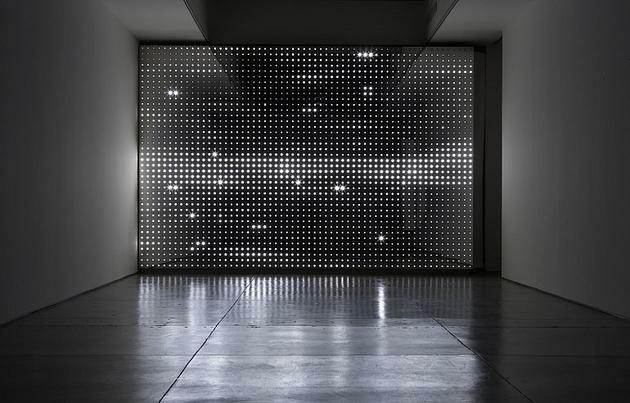 Part of a new series recently exhibited in Washington DC, this interpretation uses 2400 points of intense white light across a ten by fifteen foot wall of mirrored stainless steel. Scintillating waves of light flicker and fade, suggesting the shimmering surface of water. Raw, aggressive and elegant, the work presents a distorted image of the viewer perforated by a grid of light, simultaneously reflecting and emitting within the same plane. Villareal received a BA in sculpture from Yale University in 1990, and a graduate degree from NYU Tisch School of the Arts, Interactive Telecommunications Program (ITP). 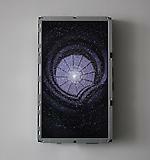 His work is currently on view in Art in America at Arario Gallery, Seoul, Korea. Recent exhibitions include: Visual Music 1905-2005, The Hirshhorn Museum and Sculpture Garden, Washington DC and Los Angeles Museum of Contemporary Art, Los Angeles, CA; All-Digital, Museum of Contemporary Art, Cleveland, OH; Greater New York 2005, PS 1 Contemporary Art Center, New York, NY and Fiction: New Vision in Contemporary Art, Museum of Contemporary Art, Taipei, China. Villareal also has permanent installations at the Albright Knox Art Gallery, Buffalo, NY, Perry Capital, New York, NY, and Related Companies, Columbus Circle, NY. Gallery hours are Tuesday through Saturday, 10am to 6pm. For further information please contact the Director, Karen LaGatta at 646.336.7183.